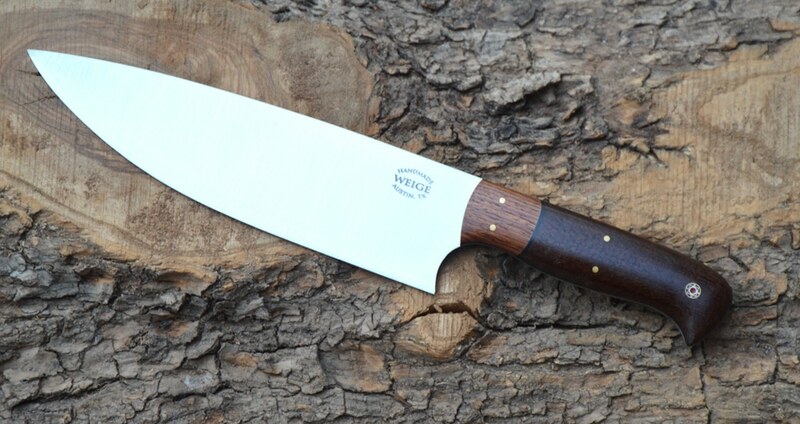 Chef and boning knife combo. 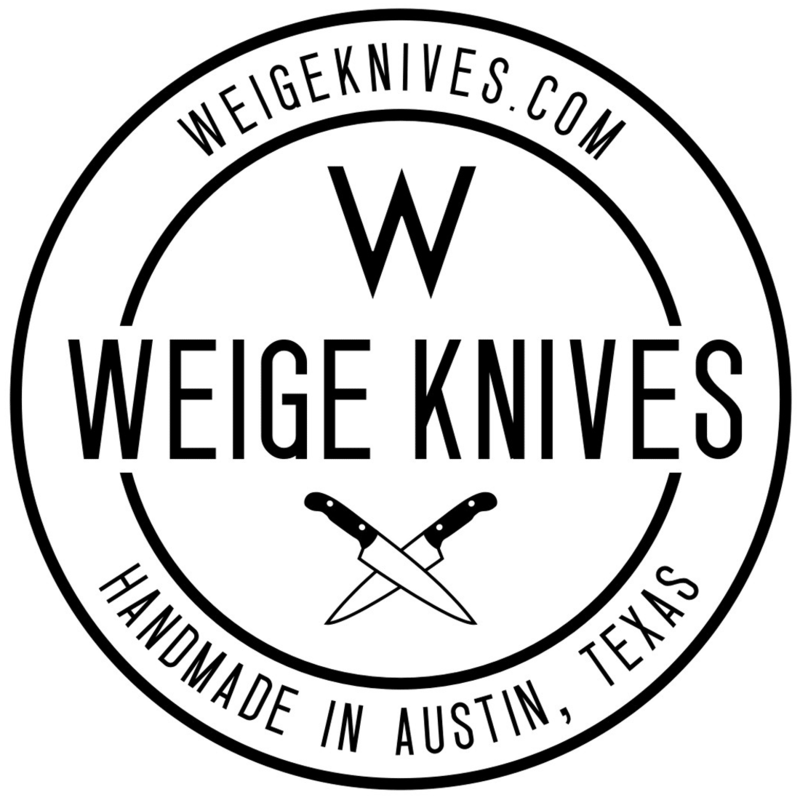 Home/Finished knives./Chef and boning knife combo. 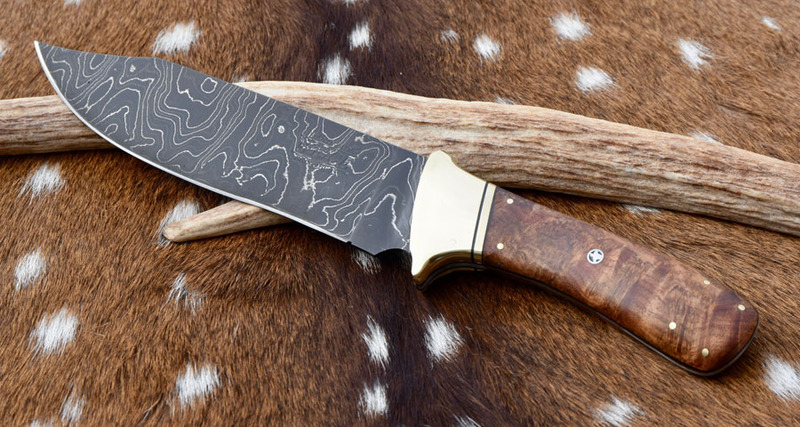 We finished a chef and boning knife combo today for our friend Colby D. in FL. 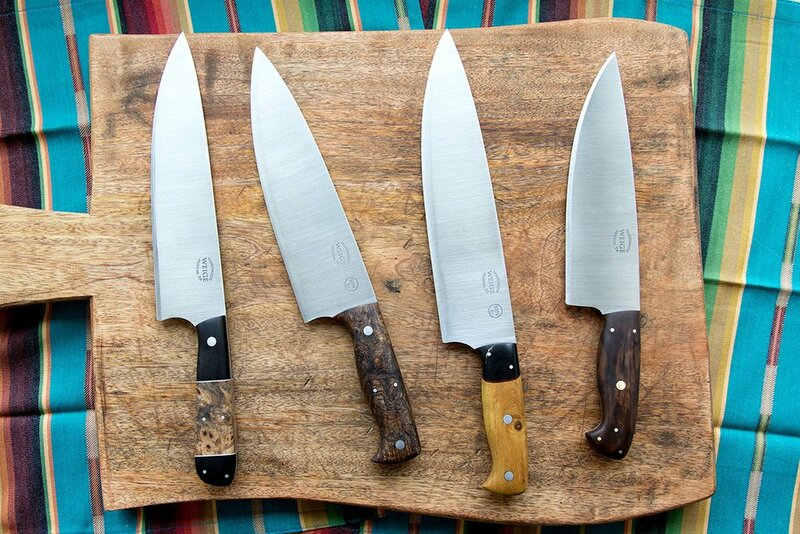 Both have spaulted, stabilized TX pecan bolsters and the custom chef knife has a blue, stabilized Box Elder wood handle. 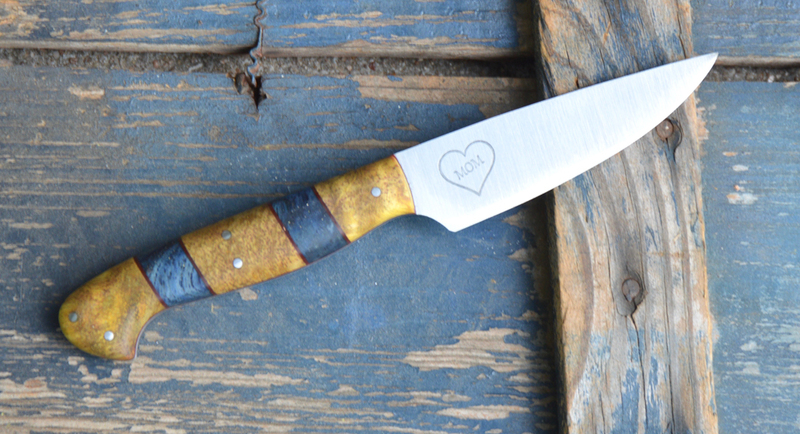 The custom boning knife has a blue, stabilized Peach wood handle. Both with white liners on 440c stainless w/ handmade mosaic pins. Very cool combo.